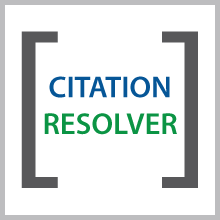 Users can perform highly targeted known-item searches using Citation Resolver. This tool allows users to copy and paste a citation formatted in the user’s preferred style (APA, AMA, Harvard, etc.) 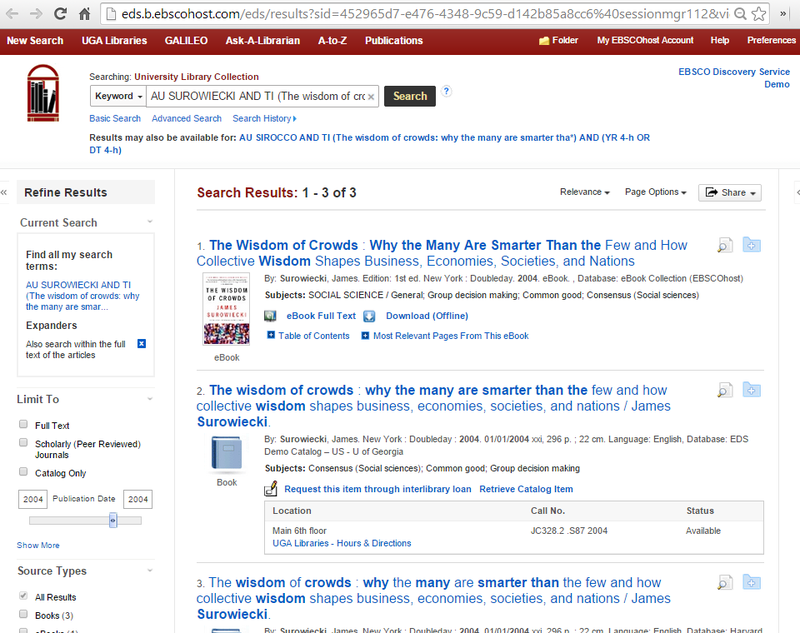 into the seach box and results will appear in EBSCO Discovery Service. 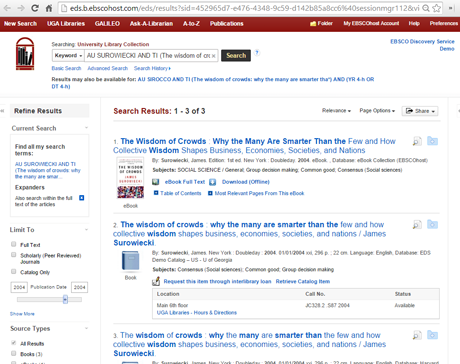 With the information, such as title, author, year, journal, volume, number, etc., users can link directly from one result to related records. 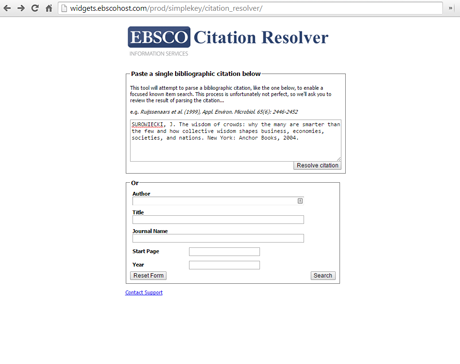 Citation Parsing provided courtesy of Brown University’s FreeCite.